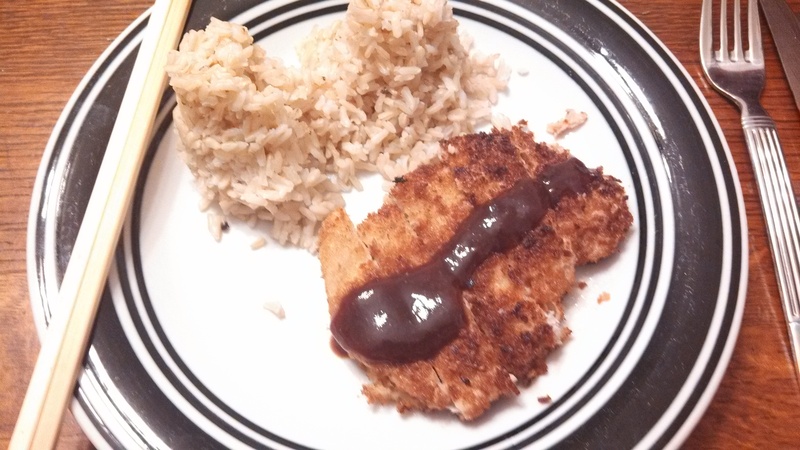 I found this pretty simple tonkatsu recipe from Damn Delicious, and then found a tonkatsu sauce recipe from Serious Eats. I’ve made chicken katsu once or twice before (and consumed it almost every weekend when I worked in the box office of Taproot Theatre in Seattle, several years ago), but I’m not sure if I’ve made the pork version. Until now. And it was yummy. And a *wee* bit unhealthy. Deal with it. -Heat oil in a large skillet over medium high heat. -Season pork chops with salt and pepper, to taste. -Set up a station of bowls with flour, egg, and panko. Dredge each chop in each item (shake off excess flour and egg). -Fry until evenly golden brown and crispy, about 3-4 minutes on each side. Transfer to a paper towel-lined plate to drain excess oil. 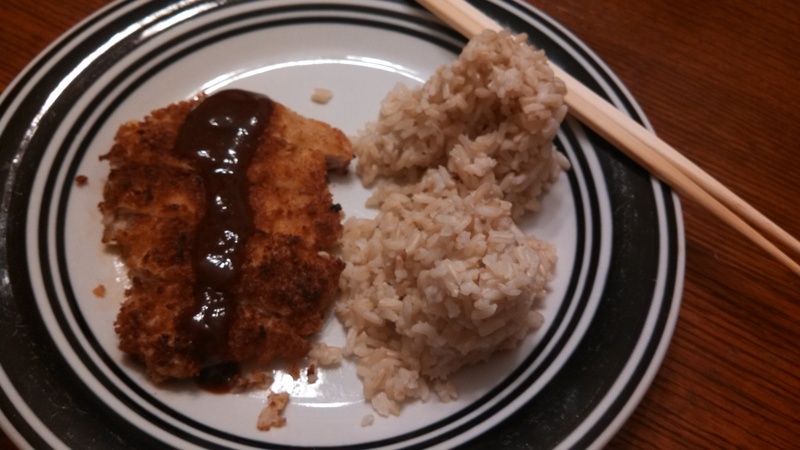 -Serve immediately with rice and tonkatsu sauce. -Stir all ingredients together in a bowl. Store in an airtight container in the fridge until ready to use (can be stored for up to one month).